It’s been five years since the events of City of Heavenly Fire that brought the Shadowhunters to the brink of oblivion. Emma Carstairs is no longer a child in mourning, but a young woman bent on discovering what killed her parents and avenging her losses. Together with her parabatai Julian Blackthorn, Emma must learn to trust her head and her heart as she investigates a demonic plot that stretches across Los Angeles, from the Sunset Strip to the enchanted sea that pounds the beaches of Santa Monica. If only her heart didn’t lead her in treacherous directions…Making things even more complicated, Julian’s brother Mark-who was captured by the faeries five years ago-has been returned as a bargaining chip. 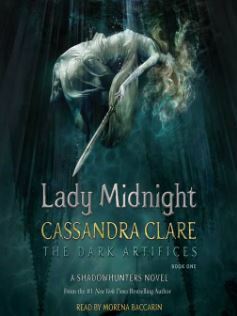 The faeries are desperate to find out who is murdering their kind-and they need the Shadowhunters’ help to do it. But time works differently in faerie, so Mark has barely aged and doesn’t recognize his family. Can he ever truly return to them? Will the faeries really allow it? Glitz, glamours, and Shadowhunters abound in this heartrending opening to Cassandra Clare’s Dark Artifices series. 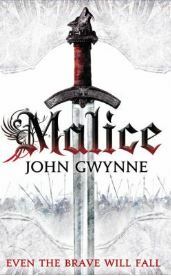 Malice is Book 1 of The Faithful and the Fallen series.